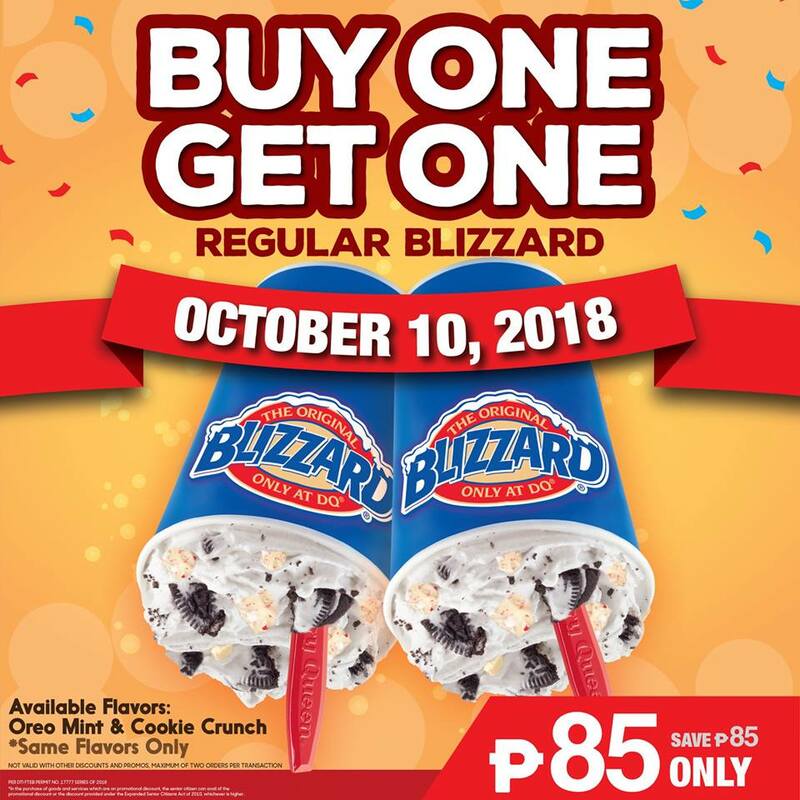 It’s Buy One Get One time at Dairy Queen on October 10, 2018! Just buy a regular Blizzard and get one with the SAME size and flavor for FREE! - Purchase regular Blizzard and get the same size & flavor for FREE! - Available Flavors: Oreo Mint and Cookie Crunch. - Valid only on October 10, 2018 in all Dairy Queen stores EXCEPT DQ Araneta Coliseum Red & Green Gate, DQ Enchanted Kingdom and DQ Gateway Cinema Level. - Promo is not valid in conjunction with other discounts and promos. - Maximum of two (2) orders per transaction.